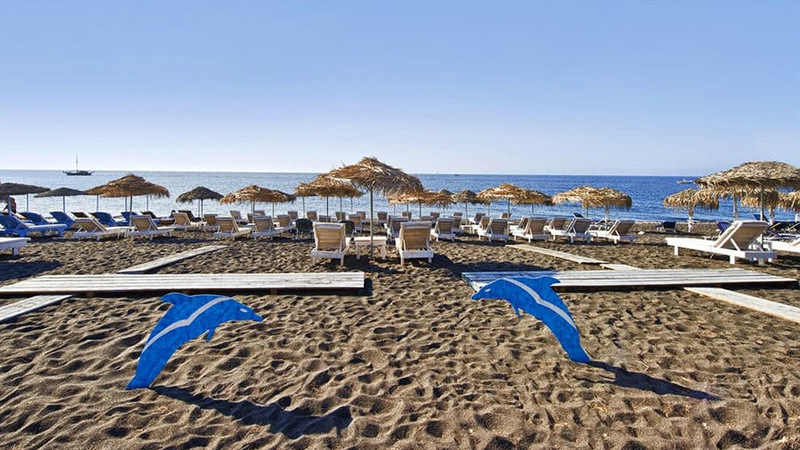 The island’s top beaches – Contact us for more information on how to reach them, or ask our concierge team! 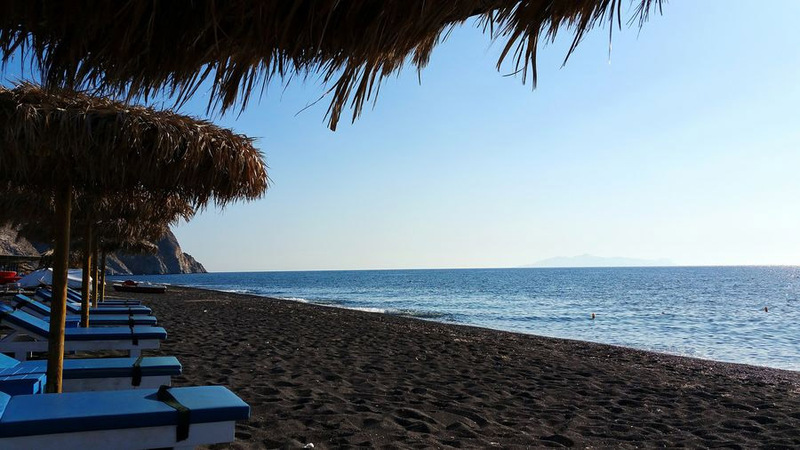 One of the most popular beaches on the island. 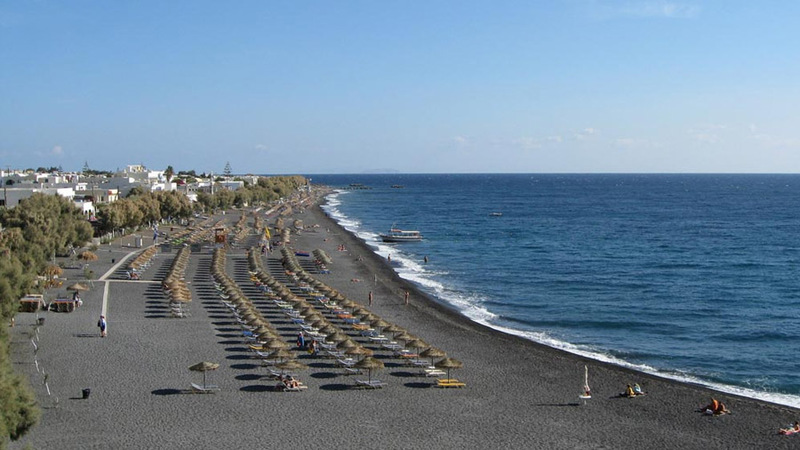 The unique black lava sand and clear deep blue waters are the main attraction, as well as a big selection of water sports. 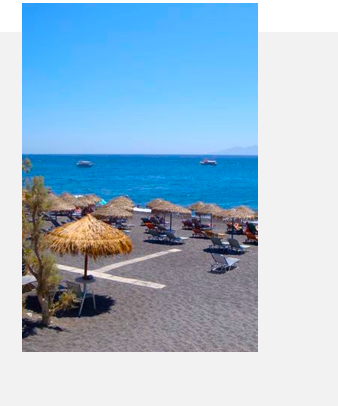 Black sand beach with a lot of tavernas and beach bars. Sport facilities are also available. This beach is a perfect spot for those wishing to avoid the crowds. 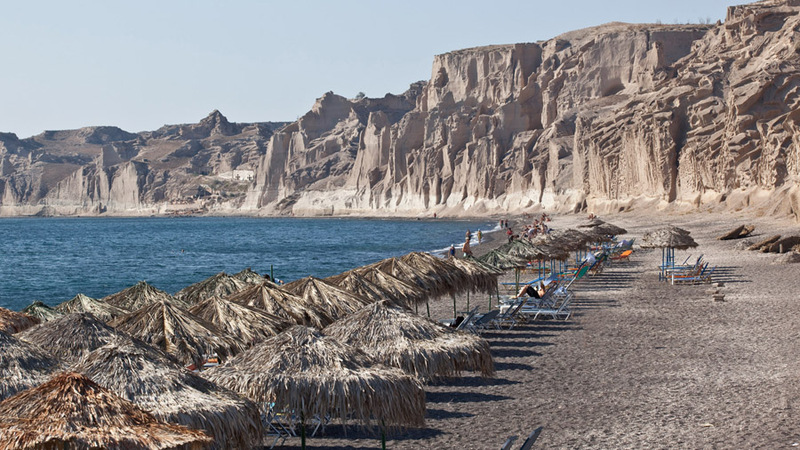 A long black beach fringed with yellow cliffs weathered into bizarre formations. 14km long beach, the island’s most popular beach. 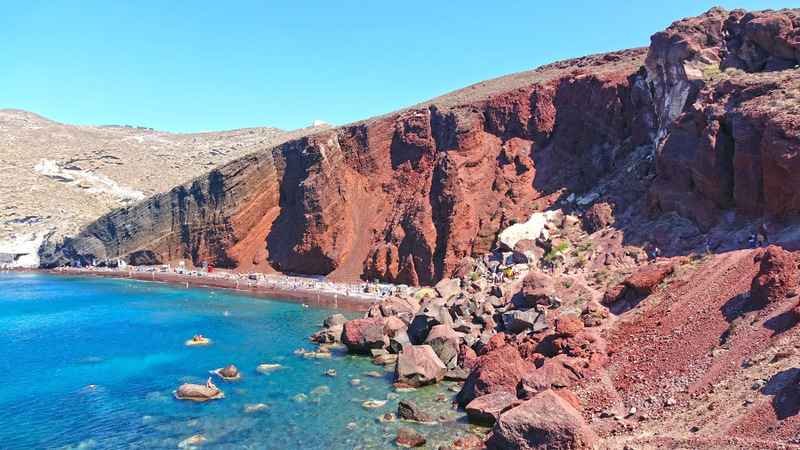 Soaring red lava cliffs drop right down to the black sandy shore and into the clear blue sea making for a majestic setting that will leave you spellbound. A breathtaking setting for a swim!. 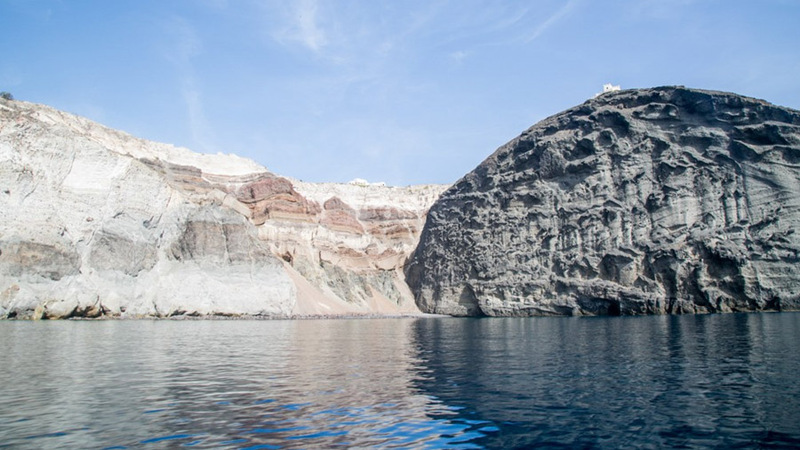 Though only accessible by boat, you should not miss the opportunity to experience its incredible beauty from up close!